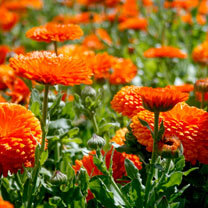 A long-flowering variety bearing enormous, beautifully formed, double, bright orange flowers on bushy green foliage. Height 45cm (18"). A plant with edible flowers. Easy to grow plants for kids or adults alike. An economical way to fill a sunny border. 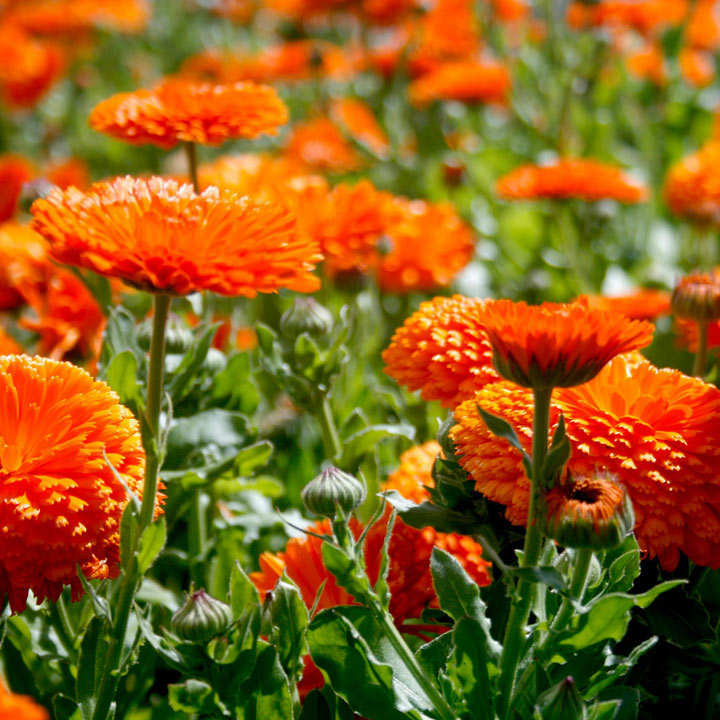 Sow direct outside where the plants are to flower, March-May for June-September flowering or August-September for May-July the following year. Suggested planting space 25-30cm (10-12"). Ideal for beds and borders, patio pots and containers. Drought resistant. Attractive to bees. Prefers full sun.